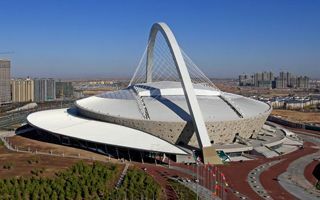 The stadium built on a 79,000 sqm blueprint in 2008 is the main venue of Zibo's new sports complex, west of the city centre. 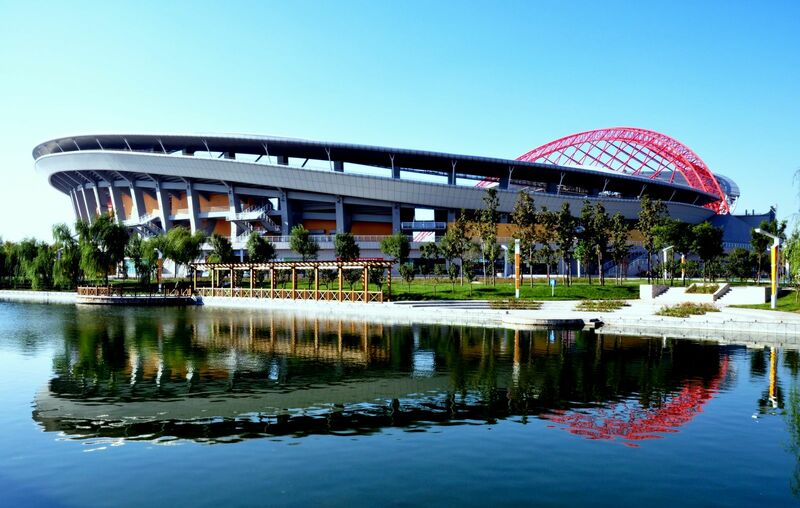 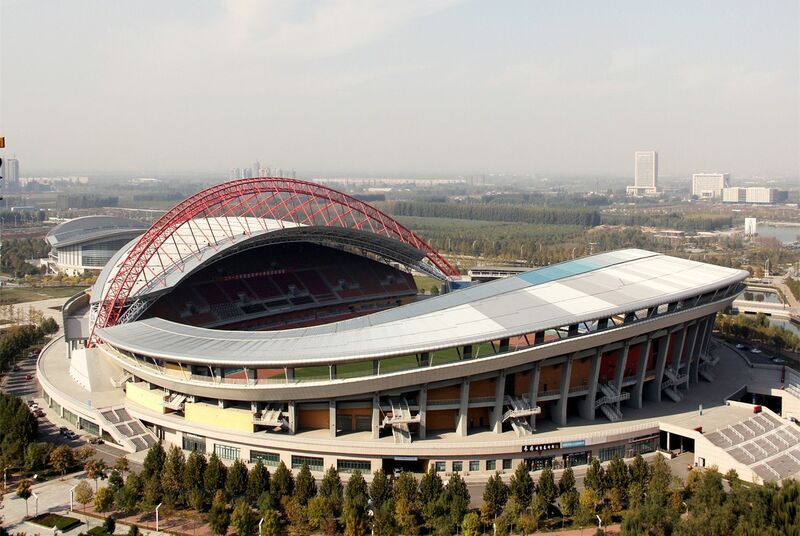 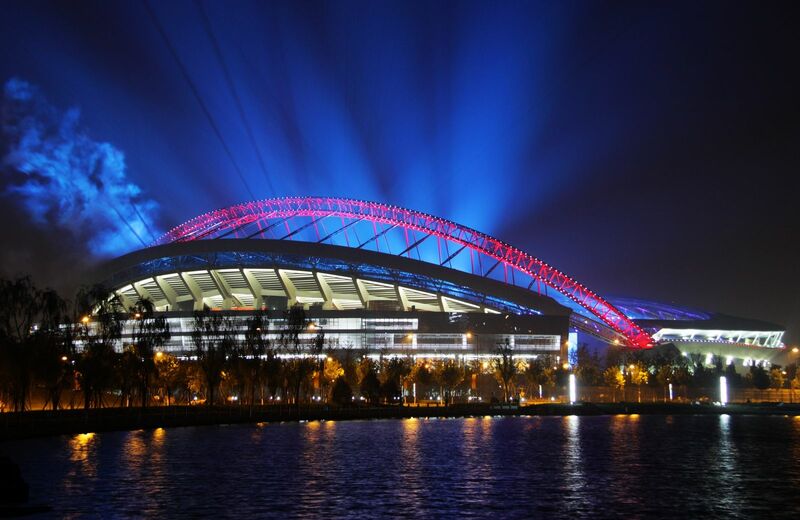 Surrounded by artificial ponds, this stadium is the city's largest, one of the best throughout the Shandong province. 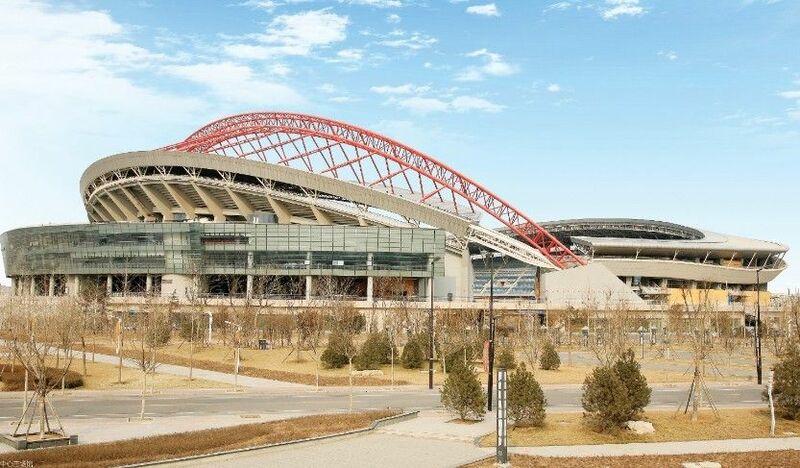 In 2009 it staged part of the football tournament during National Games of China, while in 2010 it became main venue for the Shandong games. 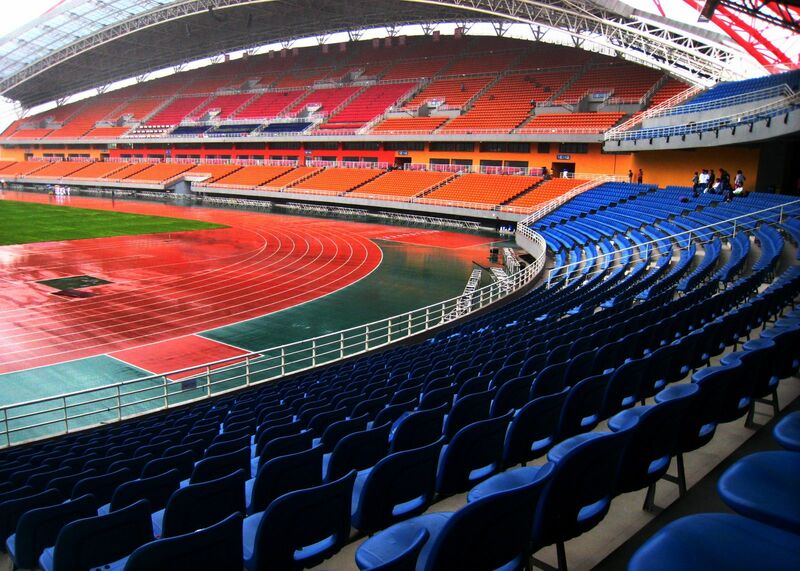 Other arenas in the complex include large indoor hall and natatorium, along with several smaller buildings.